Books change lives. Give a book to a child in need. Get Involved or Donate Today! Shop & Give To First Books Of Beaufort! 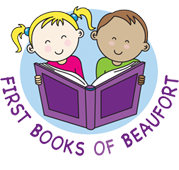 First Books of Beaufort is a 501©(3) all-volunteer charitable organization.